The Affordable Care Act (ACA) requires most individuals to obtain acceptable health insurance coverage for themselves and their family members or pay a penalty. This rule, which took effect in 2014, is often referred to as the “individual shared responsibility provision” or “individual mandate.” On Jan. 30, 2013, the Internal Revenue Service (IRS) issued a set of frequently asked questions (FAQs) for individual taxpayers relating to the individual mandate. 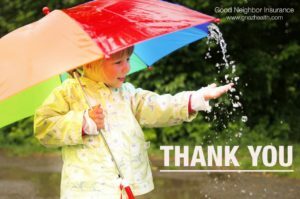 Before we move forward, Good Neighbor Insurance provides Arizona medical insurance to those who reside here in Arizona. 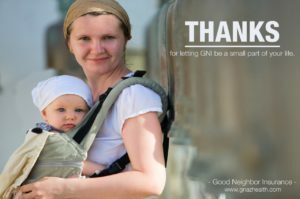 However, we are specialist in international medical insurance, medical travel insurance, and medical expat insurance, https://www.gninsurance.com/. Our international guests (clients) constitute around 98 percent of our business. 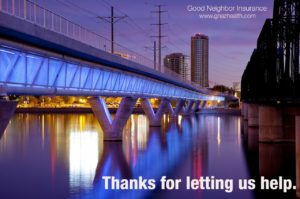 However, since we started in 1997 here in Arizona we want to provide our knowledge and expertise to our local Arizonians! Plus, we keep up with all the ACA laws and regulations to help answer our clients who are residing as expats outside the U.S. but needing understanding on ACA laws as they visit the U.S. from time to time. These FAQs have been updated for IRS guidance released on June 26, 2013, providing transition relief for individuals who are eligible to enroll in employer-sponsored coverage with a plan year other than a calendar year (non-calendar year plans). They have also been updated for the Centers for Medicare & Medicaid Services (CMS) FAQ issued on Oct. 28, 2013, establishing a new hardship exemption for individuals who enroll in an Exchange plan during the initial open enrollment period. Under the ACA, the federal government, state governments, insurers, employers and individuals are given shared responsibility to reform and improve the availability, quality and affordability of health insurance coverage in the United States. Starting in 2014, the individual shared responsibility provision calls for each individual to have minimum essential health coverage (known as minimum essential coverage) for each month, qualify for an exemption or make a payment when filing his or her federal income tax return. The provision took effect on Jan. 1, 2014. It applies to each month in the calendar year. Is transition relief available in certain circumstances? Yes. Notice 2013-42, published on June 26, 2013, provides transition relief from the shared responsibility payment for individuals who are eligible to enroll in eligible employer-sponsored health plans with a plan year other than a calendar year (non-calendar year plans) if the plan year begins in 2013 and ends in 2014 (2013-2014 plan year). The transition relief applies to an employee, or an individual having a relationship to the employee. The transition relief begins in January 2014 and continues through the month in which the 2013-2014 plan year ends. In addition, Notice 2014-10, published on Jan. 23, 2014, provides transition relief for individuals covered under certain limited-benefit government-sponsored programs. Coverage under these programs is not minimum essential coverage unless it is designated as such by the Department of Health and Human Services (HHS). Under Notice 2014-10, individuals who have coverage under these government-sponsored programs will not be held liable for the shared responsibility payment for months in 2014 when they have that coverage. The specific government-sponsored programs are optional family planning coverage of family services, optional coverage of tuberculosis-related services, coverage of pregnancy-related services, coverage limited to treatment of emergency medical conditions, coverage for medically needy individuals, coverage authorized under section 1115(a)(2) of the Social Security Act, limited-benefit TRICARE coverage of space available care and limited-benefit TRICARE coverage of line of duty care. Other coverage recognized by the Secretary of HHS as minimum essential coverage. Medicaid providing only coverage limited to treatment of emergency medical conditions. In addition, the following categories of coverage are generally not minimum essential coverage. However, to the extent that certain programs within these categories provide comprehensive coverage, HHS may recognize these programs as minimum essential coverage in the future. In Notice 2014-10, the IRS announced relief from the shared responsibility payment for months in 2014 in which individuals are covered under any of these programs to the extent that they are not minimum essential coverage. Information will be made available later about how the income tax return will take account of coverage under one of these programs. Line of duty TRICARE coverage. Religious conscience—You are a member of a religious sect that is recognized as conscientiously opposed to accepting any insurance benefits. The Social Security Administration administers the process for recognizing these sects according to the criteria in the law. Health care sharing ministry—You are a member of a recognized health care sharing ministry. Indian tribes—You are: (1) a member of a federally recognized Indian tribe; or (2) an individual eligible for services through an Indian care provider. Income below the income tax return filing requirement—Your income is below the minimum threshold for filing a tax return. The requirement to file a federal tax return depends on your filing status, age and types and amounts of income. To find out if you are required to file a federal tax return, use the IRS Interactive Tax Assistant (ITA). Short coverage gap—You went without coverage for less than three consecutive months during the year. For more information, see question 22. Hardship—You have suffered a hardship that makes you unable to obtain coverage, as defined in HHS final regulations. See question 21 for more information on claiming hardship exemptions. Unaffordable coverage options—You can’t afford coverage because the minimum amount you must pay for the premiums is more than 8 percent of your household income (adjusted to 8.05 percent for plan years beginning in 2015 under Revenue Procedure 2014-37). Incarceration—You are in a jail, prison or similar penal institution or correctional facility after the disposition of charges against you. Not lawfully present—You are neither a U.S. citizen, a U.S. national nor an alien lawfully present in the U.S.
What do I need to do if I want to be sure I have minimum essential coverage or an exemption for 2014? The vast majority of coverage that people have today will count as minimum essential coverage. For those who do not have coverage, who anticipate discontinuing the coverage they have currently or who want to explore whether more affordable options are available, the Exchange is open in every state and the District of Columbia. The Exchange helps individuals compare available coverage options, assess their eligibility for financial assistance and find minimum essential coverage that fits their budget. For those seeking an exemption from the individual responsibility provision, the Exchange is able to provide certificates of exemption for many of the exemption categories. HHS has issued final regulations on how the Exchange grants these exemptions. Individuals will also be able to claim certain exemptions for 2014 when they file their federal income tax returns in 2015. Individuals who are not required to file a federal income tax return because their gross income falls below the return filing threshold do not need to take any further action to secure an exemption. See question 21 for further information on how to claim an exemption. For more information about the Exchange, visit the Exchange website. For more information about financial assistance, see the IRS Questions and Answers on the premium tax credit. Is more detailed information available about the individual shared responsibility provision? Yes. The Treasury and the IRS have issued final regulations on the new individual shared responsibility provision. In addition, the Treasury and the IRS have issued proposed regulations, which provide guidance on additional issues that were identified in the preamble to the final regulations. Additional information on exemptions and minimum essential coverage is available in final regulations issued by HHS and in a Shared Responsibility Provision Question and Answer issued by the Centers for Medicare & Medicaid Services (CMS). Are children subject to the individual shared responsibility provision? Yes. Each child must have minimum essential coverage or qualify for an exemption for each month in the calendar year. Otherwise, the adult or married couple who can claim the child as a dependent for federal income tax purposes will generally owe a shared responsibility payment for the child. Yes. Senior citizens must have minimum essential coverage or qualify for an exemption for each month in a calendar year. Both Medicare Part A and Medicare Part C (also known as Medicare Advantage) qualify as minimum essential coverage. Are all individuals living in the United States subject to the individual shared responsibility provision? All U.S. citizens living in the United States are subject to the individual shared responsibility provision, as are all permanent residents and all foreign nationals who are in the United States long enough during a calendar year to qualify as resident aliens for tax purposes. Foreign nationals who live in the United States for a short enough period that they do not become resident aliens for federal income tax purposes are not subject to the individual shared responsibility payment, even though they may have to file a U.S. income tax return. The IRS has more information available on when a foreign national becomes a resident alien for federal income tax purposes. Are U.S. citizens living abroad subject to the individual shared responsibility provision? Are residents of the territories subject to the individual shared responsibility provision? If I receive my coverage from my spouse’s employer, will I have minimum essential coverage? Yes. Employer‐sponsored coverage is generally minimum essential coverage. (See question 5 for information on specialized types of coverage that are not minimum essential coverage.) If an employee enrolls in employer‐sponsored coverage that provides minimum value for himself or herself and his or her family, the employee and all of the covered family members have minimum essential coverage. No. You, your spouse and your dependent children do not have to be covered under the same policy or plan. However, you, your spouse and each dependent child for whom you may claim a personal exemption on your federal income tax return must have minimum essential coverage or qualify for an exemption, or you will owe a shared responsibility payment when you file a return. My employer tells me that our company’s health plan is “grandfathered.” Does my employer’s plan provide minimum essential coverage? I work for a local government that provides me with health coverage. Is my coverage minimum essential coverage? Yes. Employer‐sponsored coverage is minimum essential coverage regardless of whether the employer is a governmental, nonprofit or for‐profit entity. Do I have to be covered for an entire calendar month to avoid the shared responsibility payment liability for not having minimum essential coverage for that month? If I change health coverage during the year and end up with a gap when I am not covered, will I owe a payment? Individuals are treated as having minimum essential coverage for a calendar month if they have coverage for at least one day during that month. Additionally, as long as the gap in coverage is less than three months, you may qualify for an exemption and not owe a payment. See question 22 for more information on the exemption for a short coverage gap. If I think I qualify for an exemption, how do I obtain it? It depends upon the exemption for which you qualify. The religious conscience exemption and most hardship exemptions are available only by going to the Exchange and applying for an exemption certificate. Information on obtaining these exemptions is available in final rules issued by HHS. The exemptions for members of federally recognized Indian tribes, members of health care sharing ministries and individuals who are incarcerated are available either by going to an Exchange and applying for an exemption certificate or by claiming the exemption as part of filing a federal income tax return. The exemptions for lack of affordable coverage, a short coverage gap, certain hardships, household income below the filing threshold and individuals who are not lawfully present in the United States may be claimed only as part of filing a federal income tax return. What qualifies as a short coverage gap? In general, a gap in coverage that lasts less than three months qualifies as a short coverage gap. If an individual has more than one short coverage gap during a year, the short coverage gap exemption only applies to the first gap. No. If you are not required to file a federal income tax return for a year because your gross income is below your return filing threshold, you are automatically exempt from the shared responsibility provision for that year and do not need to take any further action to secure an exemption. If you are not required to file a tax return for a year but file one anyway, you will be able to claim the exemption on your tax return. If I am exempt from the shared responsibility payment, can I still be eligible for the premium tax credit? In many cases, yes, but it depends upon the exemption. If you are exempt because you are incarcerated or because you are not lawfully present in the United States, you are not eligible to enroll in a qualified health plan through the Exchange and therefore cannot claim a premium tax credit. However, individuals with other types of exemptions may obtain coverage through the Exchange and claim a premium tax credit if they otherwise qualify for the credit. The individual shared responsibility provision took effect in 2014. You will not have to account for coverage or exemptions or make any payments until you file your 2014 federal income tax return in 2015. Information will be made available later about how the income tax return will take account of coverage and exemptions. Insurers will be required to provide everyone that they cover each year with information that will help them demonstrate they had coverage beginning with the 2015 tax year. What happens if I do not have minimum essential coverage or an exemption and I cannot afford to make the shared responsibility payment when filing my tax return?